Traditionally Italian wines are labeled by region but there’s a movement to start using grape names, especially well known ones, when the production is aimed at the expert market. 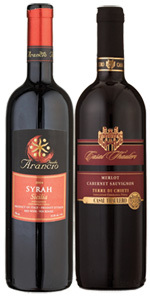 Are you ready to try some Merlot, Cabernet and Syrah – Italian style? The Abruzzo province is the ‘outlet store’ for Italian red wines. Rock bottom prices for good quality, traditional wines. Now it’s doing the same with international grape varieties. 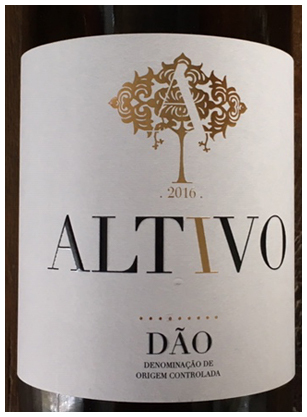 Arancio’s Syrah strikes a perfect balance between traditional and modern expression. It would work for either camp. Solid, house wine feeling. A bit reserved at first, but the Italian spirit comes out with food. Casal Thaulero’s wine delivers Merlot plumminess, Cabernet solidness and a rustic Italian feeling. Richness and gusto – the Italian way. For hearty foods and folks. Why pay more? Best times: fall or winter house wines.